It has been an incredible year for us an agency and we have been really proud to have won and been nominated for a number of awards. 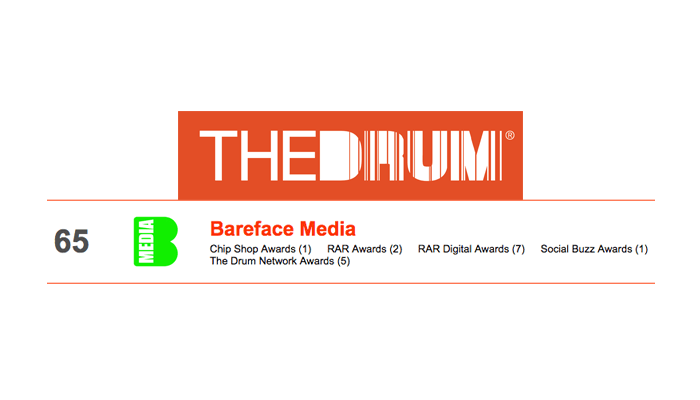 These achievements have seen us placed 65th out of 993 in The Drum 2014 Awards Leaderboard. This is another fantastic result for the team and sees us placed among some incredible competition and to be in the top 100 agencies is testament to the incredible year we have had in 2014. We can't wait for 2015 but we know we have set an incredibly high bar to exceed.